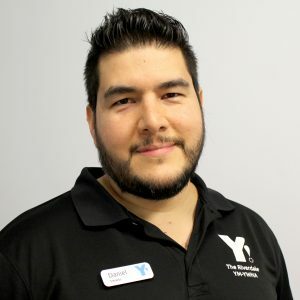 Daniel began working for the YM-YWHA at the Upper East Side in 2011, training with people of all ages and backgrounds in a high energy, safe and nurturing environment. He is keen on continuing in this field and applying the full range of his creative skills at the Riverdale Y. He specializes in Strength, Conditioning, Mobility and Flexibility; with concentrations in Kettlebells, Kickboxing and Yoga. along with his 200 Hour Yoga Alliance certification. Exercise takes you to the present moment, the only place where Life truly exists.